Another Memorial Day Quickie has come and gone. This 2 mile ‘members only’ race has the option of doing a prediction run, or just racing like normal. This entry was posted in Uncategorized on May 25, 2015 by Angie. The 6th Annual MCRR Banquet will be held at Williams on the Lake in Medina on January 24, 2014 from 6 to 11 PM. Everyone must RSVP by Friday January 16, 2015. This year there are two ways to RSVP! 1. Click on Members Only / 2015 Banquet above to complete your RSVP through PayPal. 2. Complete this form and return to Michelle Wolff (address on form) by January 16, 2015. If you see Michelle at a run, feel free to drop off. Watch Facebook to see which runs she will be attending. If anyone is interested in helping out with obtaining door prizes or the night of the banquet, let Michelle know. Thanks and we look forward to seeing everyone at the banquet. This entry was posted in Uncategorized on January 2, 2015 by Angie. Another BW25/50k is in the books! The bad weather we guaranteed did not show up, but nevertheless the runners pressed on. It was challenging to run in that 60° weather, I’m sure. But they pushed through. This entry was posted in Uncategorized on December 3, 2014 by Angie. Our next quarterly board meeting will be Sunday, November 16th at 7pm at Panera in Medina. The public is welcome to attend. A draft of our agenda can be found here. This entry was posted in Uncategorized on November 11, 2014 by Angie. The half marathon begins at 6:45am * Please note our adjusted start time. 5K will start a few minutes later. (exact time coming soon). 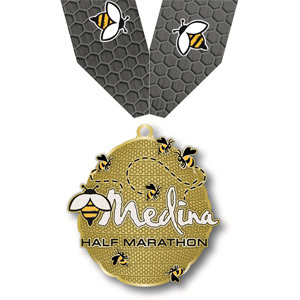 Register at www.runmedina.org First price increase is in November, 2014. This entry was posted in Uncategorized on September 18, 2014 by Angie. 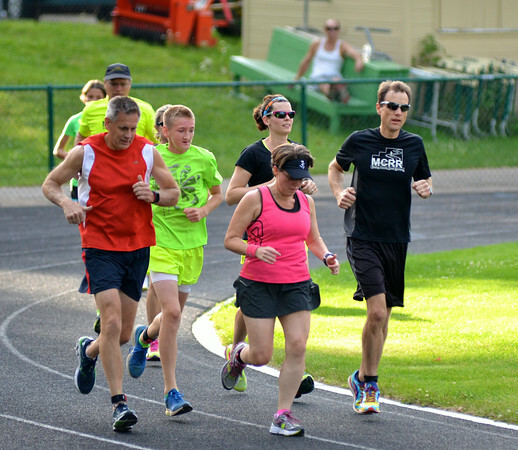 The Medina County Roadrunners had their annual track meet, and introduced a new event – the Donut Mile. Fun for all, puking for one. The results are below. The photos (by our own John McCarroll) are here. This entry was posted in Uncategorized on August 19, 2014 by Angie. This entry was posted in Uncategorized on May 2, 2014 by Dan Horvath.